As I’m preparing to cut various joints for a project, I’ll go through my copy of The Woodworker from Lost Art Press to refresh myself on how to do the joint in question. 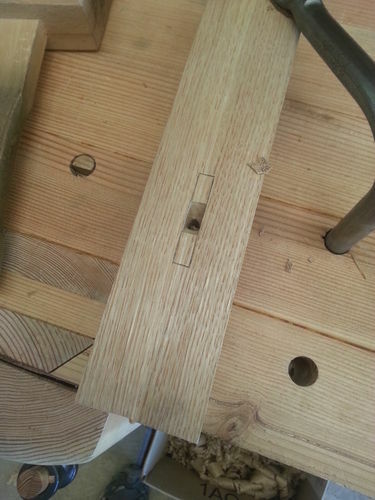 In this case, mortise and tenons. 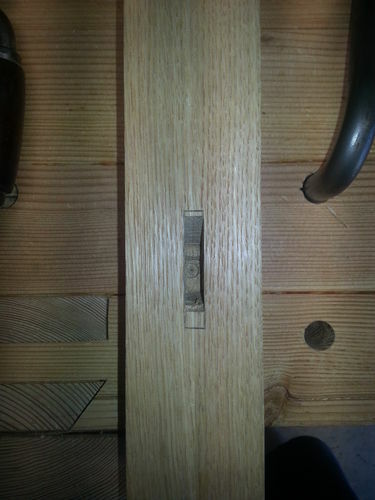 One included article, a reader submission, suggests a more efficient way to cut a mortise, instead of boring out as much as possible and cleaning the remainder up with chisels. I tried it out, and thought I’d share my experience since I haven’t seen this approach noted anywhere else. 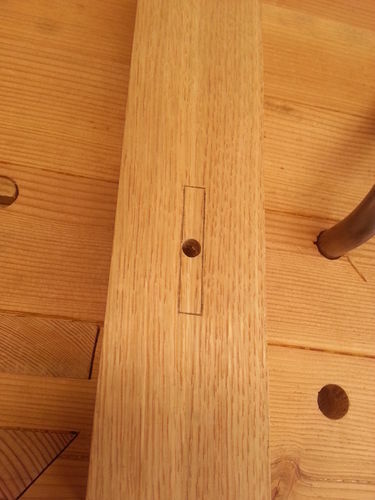 If you’re careful to bore to the right final depth (stick some masking tape on your auger), you can use the bored hole to gauge your chopping depth. So above, I’m not quite to the bottom yet; one more V pass will get me there no problem. In summary, I like this technique and will continue using it. 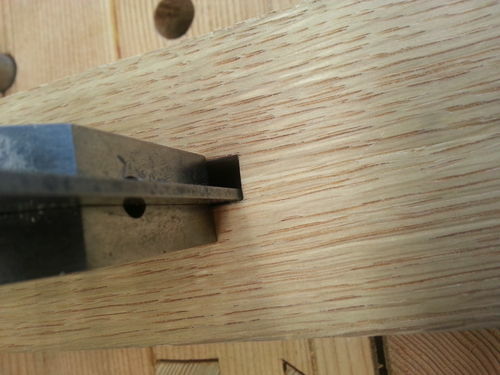 It’s most appropriate when you have a mortise chisel that’s an exact match to the mortise width. 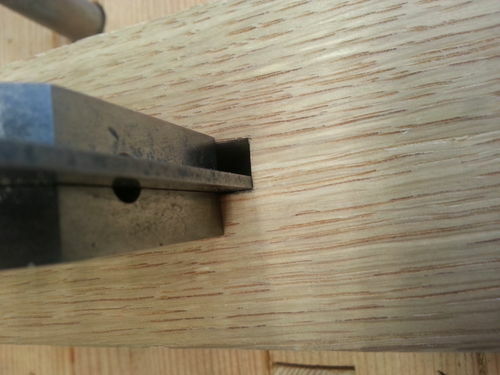 For wider mortises especially, I’ll bore as much as possible and clean up with mostly bench chisels. Thanks for the tip! I’ve got The Woodworker, but haven’t had time to get through it. Looks like I should find time soon.